Playstation Official magazine is the authorized magazine and ultimate guide to playstation gaming. It covers everything pertaining to PSP, PS3, PS4, PS Vita and more. Playstation Official magazine has the news, reviews, views and opinions from the world of super gaming on playstation. Being the official magazine, Playstation Official serves the information that is very first, fresh and of course most authentic. 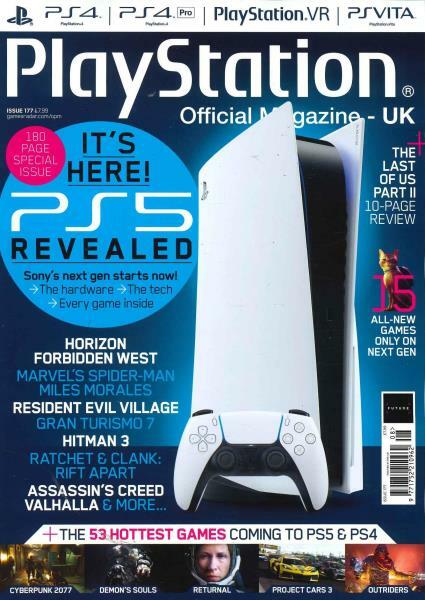 The Playsation Official magazine value your money as well as your unique taste of gaming experience and that is why it presents most honest reviews of the latest games in an interesting way and clearly stating whether or not you must put your money in it. All along with the reviews, the magazine also brings you the actual screen shots of the game describing the kind of action you can expect out of the game and it also specifically features the additional hardware and software requirement that the game may require to be enjoyed to its full potential. Apart from game reviews, the Playstation Official magazine also brings you the freshest updates and exclusive previews of the upcoming games giving you much detailed information on what kind of thrill shall be expected in the game and exactly when it would be released in the market. Moreover, for finest gaming experience, the Playstation Official magazine has intelligently written editorials suggesting you smart tips and tricky strategies to have a better control over the game. In the blitz of new and exciting games, the Playstation Official magazine also has a space to share about the greatest classic games to be tried for a different experience all together. The magazine also has a calendar for the new game launch events, promotional shows and challenges. Playstation Official magazine is amazing. It tells me about the latest releases an news about playstation. It has a great disc with lots of videos and trial games to play on. It's great for the enthusiastic PS3 gamer. I honestly can't wait for the next issues to be released.